We do not presume to come to this your table, merciful Lord, trusting in our own righteousness, but in your manifold and great mercies. We are not worthy so much as to gather up the crumbs under your table. But you are the same Lord whose nature is always to have mercy. Grant us therefore, gracious Lord, so to eat the flesh of your dear Son Jesus Christ and to drink his blood, that our sinful bodies may be made clean by his body and our souls washed through his most precious blood, and that we may evermore dwell in him, and he in us. Amen. This is the Prayer of Humble Access. 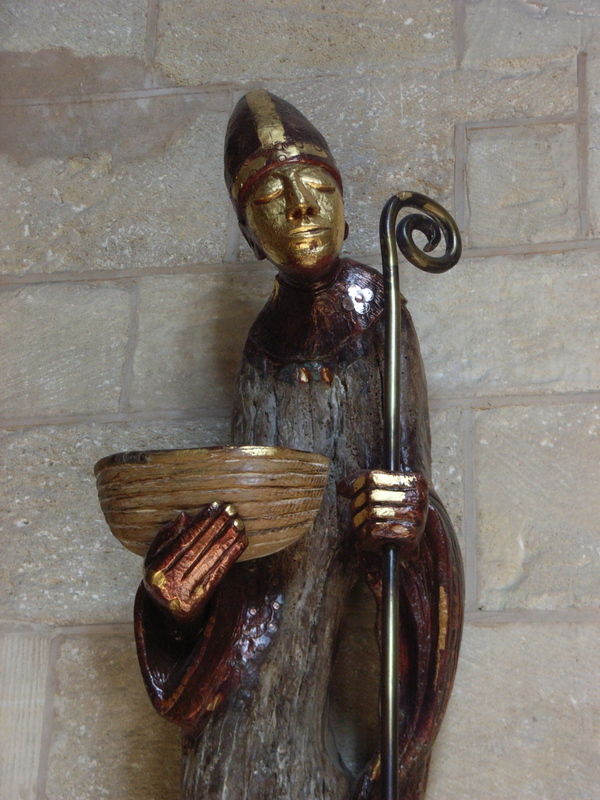 Over twenty years ago, I used to attend the morning service of Holy Eucharist at Sheffield Cathedral. It wasn’t something I intentionally started to do, it was simply that there were very few buses into the city in the morning, and the only one that would get me to work on time in fact got me there with quite a lot of time to spare. Rather than sit and drink coffee I didn’t need, I decided to attend the service every morning. There were never many people there, often only one of the canons, one other woman and me. Every morning we used the Prayer of Humble Access; it found its way into my heart and I loved it as part of the liturgy. Occasionally I hear it used, but it seems these days it isn’t used much. Last year, I spent a happy Sunday afternoon showing some American visitors round Tokyo. They were both Episcopal priests. Over dinner the conversation somehow turned to the Prayer of Humble Access, and I mentioned my attachment to it. One of them remarked that she felt differently, and knew other women who felt the same; women who had been in abusive or damaging relationships, for whom the statement, ‘We are not worthy . . .’ was painful. I was challenged to account for my positive feelings. At the time I think I said that I didn’t hear ‘not worthy’ as much as ‘mercy’. I didn’t satisfy myself with that answer, I felt there was something more, and so I thought and prayed about it. Eventually I arrived at an explanation that satisfied me. From when I was eleven and my brother was nine, my father was an alcoholic (though my mother never admitted that and we never talked about his drinking until many years later). He drank every evening and then became verbally abusive. Many times every evening he would come into the living room, look at us, then close the door again, swearing at us as he did so. This was mainly to check we weren’t about to walk into the dining room where he was going to get another drink. As he closed the door he would say with some venom, f*** off or some other equally hurtful expletive. Evening after evening, my brother and I would look at Mum and she would always reply with, I didn’t hear anything / Just ignore it / Rise above it. This went on for many years. I was never able to ignore it, was never able to understand why she let it happen. I became clinically depressed for two years at university, and everything that I spoke about with my doctor at that time was connected to him or my grandparents. In my twenties I was able to stand up to him and when he swore I looked him in the eye and asked him to not do that because it was hurtful. He never stopped but I had my say. My grandparents also said things that stayed with me. They often asserted that their love was conditional, and that because I fell short I was a disappointment or had hurt them and therefore love would be withheld on some level. ‘If you really loved us you wouldn’t go to China.’ ‘We’d love you more if you stayed here.’ That kind of thing.I knew that they loved me dearly, but still, their words hurt. All of the above is not to paint me as some kind of victim, because I don’t feel that way. I feel sad about it, but I came through it, I’m stronger for it, I learnt about psychology and grew in faith and made my peace with it as much as I could. My point is, the message I got from all of that was, I was not worthy because I was a disappointment; Dad was drinking and in a bad mood so we had to just accept it; adults had these negative feelings or had experiences in their past or something I couldn’t fathom and we had to take it. Lots of connections, conjunctions; and, because, so. Then I came to the Prayer of Humble Access and again, it told me that I am not worthy. The difference was the conjunction. ‘We are not worthy . . . but . . . ‘ and that is what makes all the difference in the world to me. There is no connection between my unworthiness and what happens next. There’s no so, and or because, it all gets blown apart because of the ‘but’. Because of all the things I was told as I was growing up I have buttons in my head. It’s quite easy to rattle me, to make me feel anxious. I’m ready to believe it must be my fault, that I let someone down in some way. I keep coming back to the Prayer of Humble Access because it breaks that cycle for me. I am not worthy. But. God doesn’t change, there is always mercy and grace. That is why I like the Prayer of Humble Access. Everyone has their own experiences, and I know that for other people the word ‘unworthy’ might be just so loaded that there’s no getting round it, but for me it has the opposite effect. This entry was posted in Prayer and tagged conjunctions, Holy Eucharist, Prayer of Humble Access, Sheffield, unworthy by tokyopurplegirl. Bookmark the permalink.